An interview I conducted with Kathy Bunn-Schultz, author of The Convent and the Rose and Riley's Gift, both published by PublishAmerica. Can you give us a synopsis of The Convent and the Rose and Riley’s Gift? After five years as a prisoner of the Mescaleros, Maria escapes to Presidio, where she begs for work in a cantina owned by the local madam, Mama Sieta. There she meets lovable and unique characters such as old Bac, Sheriff Tucker and Pigtail, who is afraid of the spooky church, San Cristobal. An Irish nun gives a few laughs as she vies with Mama Sieta for the soul of the young girl. Wicked Juanita and Curiosity are the greatest enemies to the love she has for Montana, her rugged outlaw with the gun-fighter eyes; who is intent on stealing gold from another outlaw and uses some tomfoolery to reach his gold. Due to a misunderstanding, Maria is forced to play a dual role. 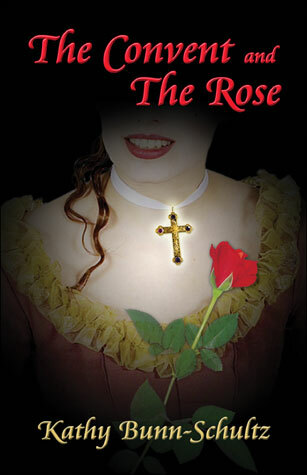 What mystery binds her to the mission and the convent of the roses and the glowing cross? Will she ever know? The consciousness of Old San Cristobal awakens. It sleeps no more because its lost companion is once more reborn. Her memory has awakened this guardian of the past. It looks for her and finds her in our present-day world. She is a young doctor born with the GIFT of touch and ESP abilities. She has been in love with a musician since age fourteen. He perceives her as wicked; she believes him to be her lover from another life. Fireworks and misunderstandings between David and Kathleen lead her all the way back to Presidio, where she remembers the pasts and comes face to face with the Spirit of San Cristobal, a semi-fallen angel known as Old Of Old. What mystery happens on the battlefield of Iraq? Can the mysterious Old Of Old create a miracle of happiness for them? Riley’s Gift will touch your heart and your soul. It took me 8 months to do each book, working only on weekends. Did you do any research? If so, what kind? Yes, in The Convent and the Rose, I researched old weapons, wagons and events of that time. In Riley’s Gift, I researched stem cell, Iraq, and up-to-date medical and tank equipment being used there today. Many writers inspire me; Faulkner, Hemingway, Samuel Clemens, etc. My writing times are usually in the mornings, late evenings and on weekends. I do not force myself to write, I let it come naturally. I also act out the story in my mind. My target audiences for the first two novels were for both men and women but women were the main audience of my first two novels. 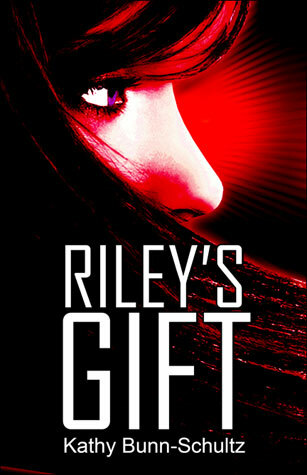 However, Riley’s Gift is not just a romance novel with humor, it also has agents, action and war. The Convent and the Rose was a romantic western with a twist. It had cowboys, outlaws, and lovable charcters, but it also had a bit of a spooky twist and not the typical ending. A surprise reading for both men and women. I enjoy every book that I read because they are all different; each author with his or her own individual style and flair. I would like my readers to know that my stories are written for them, to entertain and make them feel as though they are right there living the story life with the characters. At this time, I am working on a Spy/War novel, which needs to be written. It is very patriotic, controversial novel with a touch of the unknown. Both men and women will love the main characters of this book. Short stories – I have just finished a free short story, Rose Colored Glasses, which can be read for free on www.digeststory.com. I have another short, which will soon appear on Amazon Shorts and can be downloaded for 49 cents. It is called Blue Eyes. Keep a pen and pad handy to jot down those moments of inspiration that come in a flash and can never be recaptured in exactly the same way. Nothing lost ever comes back the same way. Research your story material, the language; make sure it applies to the time and/or place that you are writing about. Learn as much about the art of writing as you can. Take some courses. Be positive in the face of rejections. Always know what type of a story the publisher is looking for. Be aware of what is selling the most on the market, what people are buying. Be passionate about your work. Believe in your talent; it will inspire you. For more information, please visit Kathy's website at www.freewebs.com/kcschultz.